News items about advances in artificial intelligence (AI) are coming thick and fast these days. As AI systems become better at sorting data, finding patterns, and making predictions, these algorithms are undertaking an ever-increasing range of tasks, from filtering email spam, to delivering takeaways, to tackling more sophisticated problems such as providing legal advice or deciding whether you are paid a visit by the police. With this global focus on AI, it is perhaps unsurprising that increased attention is being paid to the impact of AI-powered automation on jobs and employment. Just as the Industrial Revolution drove automation of repetitive physical work, the ‘Intelligence Revolution is predicted to have the same effect on a widening range of intellectual tasks, meaning that more jobs can potentially be performed by robots and computers. A number of high-profile studies have predicted high levels of job displacement as a consequence of automation across developed economies. Most recently, the Organisation for Economic Cooperation and Development (OECD) found that 14% of jobs in 32 participating countries are at high probability of automation, with a further 32% of jobs likely to be significantly changed by automating technologies. These figures are somewhat lower than previous estimates by Oxford academics Carl Frey and Michael Osborne in 2013, or by consultancy PwC earlier this year, but are higher than the OECD’s own estimates from 2016. There is in fact great disagreement among economists both on how many jobs are likely to be displaced by AI-fuelled automation, as well as whether the work that is automated will be replaced by new (and possibly more fulfilling) alternative work. The history of the Industrial Revolution would suggest that more jobs will be created than are lost. History does not always repeat itself, however: if machines become better than humans at intellectual tasks, what will be left for humans to do? One thing that almost all economists agree on is that change is coming and that its scale and scope will be unprecedented. In order to encourage a more sophisticated understanding of the future of work, and to increase political engagement with this topic, we applied calculations of the automatability of jobs in different industrial sectors to United Kingdom Parliamentary constituency-level employment data. Although the overall figure for the whole of the UK is that 30% of jobs are at high risk of automation by the early 2030s, when looking across the country, the proportion of jobs at high risk varies from 22% to 39%. Most significantly, the highest levels of future automation are predicted in Britain’s former industrial heartlands in the Midlands and the North of England. These are areas which have already suffered from deindustrialization and many of them are already unemployment hotspots. Factors that predicted a higher proportion of high-risk jobs included a reliance on jobs in the manufacturing and transport/logistics sectors in the local economy. Our work suggests that automation will impact different geographic regions differently. Our report also included opinion poll data from our annual survey of the UK public’s attitudes to AI. The poll shows that despite evidence suggesting high levels of automation are coming, only 7% of respondents said they were worried about the impact of automation on their own jobs, and only 28% were worried about jobs in their local area. It seems a deeper public debate about the future of work is urgently required. Our work suggests that automation will impact different geographic regions differently. This point is also made by other researchers, including those at the OECD and PwC, who have predicted differential impacts of automation on different genders and socioeconomic classes. With these differential impacts comes the risk of exacerbating existing socioeconomic inequalities. A recent Brookings Institution report found that although the economy has grown due to automation, the share going to worker earnings has shrunk. Unequal distribution of the proceeds of automation may have destabilizing effects on societies worldwide. As artificial intelligence supercharges automation over the next decade, and this hits distinct groups differently, there will be profound social and political consequences. Any policy response to the challenges of the future of work must take account of how automation will impact different groups of people. Commission and support detailed research to assess which employees are most at risk of job displacement by automation in their countries. It is essential that we better understand how impacts will differ by employment sector, geography, age group, gender, educational attainment and socio-economic group. Develop smart, targeted strategies to address future job displacement, based on the results of research into the differential impact of automation by sector, region and demographic group in their countries. The importance of targeting these interventions to those most at risk cannot be overemphasised. Such interventions could include supporting businesses to retrain employees, and providing financial and psychological support to the people impacted. Adapting the local education system to maximise the opportunities and minimise the risks created by AI. While STEM skills will be crucial in the future world of work, education systems should not restrict themselves to focusing on these alone. They must provide forward-looking and future-proof training in creativity and interpersonal skills, which will be less automatable in the longer term. Lifelong learning, student-led learning, and the personalization of education will underpin the resilience and adaptability necessary to thrive in the workplace of the future. Lastly, educational policy must also support initiatives that encourage underrepresented sectors of society (including women and ethnic minorities) to receive training in AI development and deployment. Conduct research into alternative income and taxation models that result in fairer distribution of the wealth that these technologies will create. This could include undertaking well-designed trials of Universal Basic Income along the lines of those currently underway in Finland, Scotland and Canada. Fiscal and welfare policies must be updated to ensure that wealth is not increasingly concentrated in the hands of a few commercial entities who own robots and other automated technologies. See Future Advocacy’s full report on The Impact of AI in UK Constituencies. 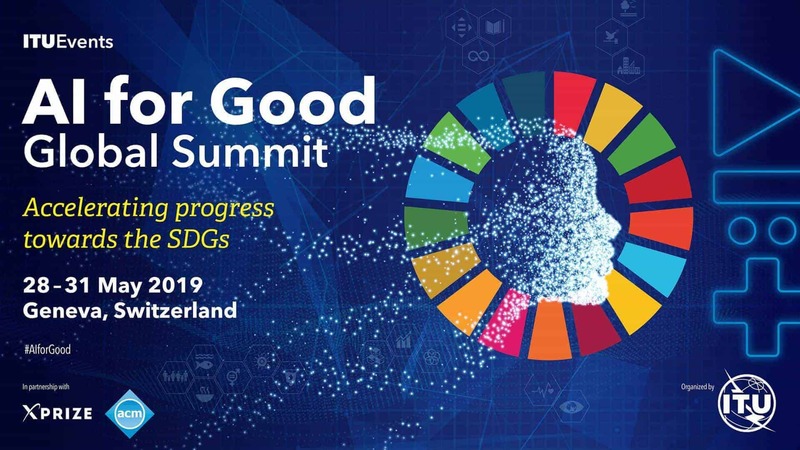 The 2nd AI for Good Global Summit at ITU headquarters in Geneva, 15-17 May, will take action to ensure that artificial intelligence accelerates progress towards the United Nations Sustainable Development Goals (SDGs). Learn more about the Global Summit here.